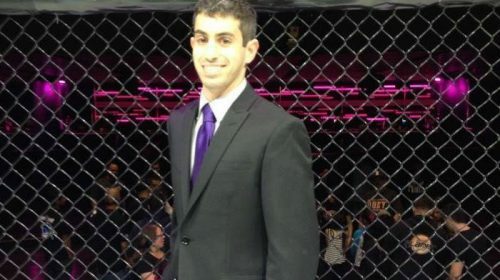 For over three years Matt Frendo served as President and Matchmaker of KnockOut Promotions (KOP) but on July 5, 2018, he stepped down. It wasn’t something he wanted to do, rather it was something he felt he had to do. Frendo stepped down because the founder of KnockOut Promotions, Josh Medley was using racist language with fighters and Frendo couldn’t deal with the culture that Medley was fostering. He decided he was done. Frendo doesn’t regret his time with KOP, he made friendships that he is proud of and helped KOP develop into one of Michigan’s top MMA promotions, getting a distribution deal with FloCombat and helping athletes such as Cody Stamann pursue their dreams. But with the culture becoming what it was he couldn’t stay quiet, so he released the messages to the public. The only regret he has is that he stayed quiet longer than he believes he should have. He also believes it was important that he was the one that released the messages. With the dreary situation behind him, Frendo was looking to take time off before working in MMA again, at the time he quit KOP, he was a few months away from getting married and he wanted to put all of his attention on that before starting again. But he kept getting messages from coaches and fighters asking him not to. One of those people was Moe Williams, who helped Frendo put things in perspective. Because of the support Frendo received and the insistence that he needed to start sooner than he planned to, he announced on August 12, 2018, that he created a new promotion called Lights Out Championship and the first event would take place on October 13. Now, Frendo is the sole owner of a promotion and he could pick each direction the organization would go in. He also wanted it to standout from other promotions and be innovative. He has started by providing individual fight kits for fighters to wear (they are optional not mandatory to wear so they can have sponsors), they will raffle off a 2018 Chevy Camaro at the first event (a ticket is an entry into the raffle), have a $2,500 knockout of the night bonus, more competitive fight purses and ensure fighters receive a higher percentage of money on the tickets they sell. Most importantly, he is trying make the promotion fighter centric. Most regional promotions are reliant on ticket sales to create revenue and cover costs. That responsibility mainly falls on the fighters and often times fighters who don’t sell many tickets have a hard time getting on cards. While knowing he still needs fighters to sell tickets, Frendo is trying to avoid placing all the pressure on the fighters which will enable him to use fighters that don’t sell well. The promotion has received a lot of support from fighters, fans and coaches since the announcement but it hasn’t been completely smooth sailing. Frendo originally booked a venue in Holland, MI and stacked the card with Holland based fighters, including a rivalry match up in the main event between heavyweights Ray Lopez (9-11) and Ruben Esparza (3-1). However, the venue became difficult to work with which forced Frendo to find a venue. Now the event will take place at the Delta Plex Arena in Grand Rapids, MI. But the bad news also brings good news as Lights Out Promotions signed an agreement to host all of their 2019 shows at the Delta Plex Arena. 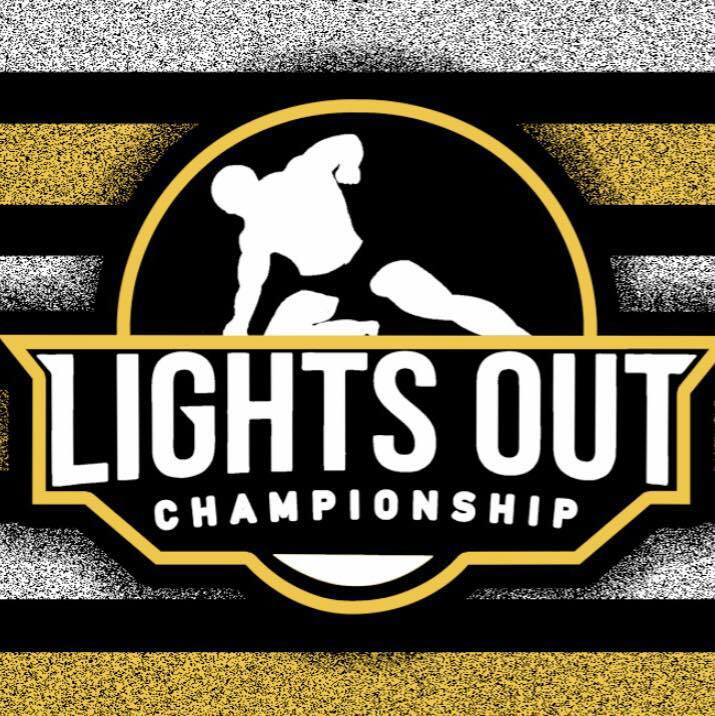 Including the show on October 13, Lights Out Promotions will host six events through 2019. The card is a pro-am card, featuring fighters young into their amateur careers all the way to fighters with twenty professional fights which is what Frendo believes is the right card for Lights Out’s first event. The event was supposed to take place in Holland so Frendo filled it with many Holland-based fighters. None more so than the original main event. but it will have to be enjoyed forty minutes away in Grand Rapids. But, by the time the main event starts, everyone from Holland to Grand Rapids will feel the heat between the main event combatants. However, the main event of the show won’t happen as Ruben Esparza was injured during a training session and had to pull out of the main event. Now a middleweight contest between Erick Lozano vs. Marcus Mauilding will be the new main event. A match that Frendo believes will be a a show stealer is, t between amateur fighters Idris Perry and Jesse Droast (3-0). He also believes the winner of the fight to become the next fighter to garner a lot of hype when they decide to turn professional. With the promotion up and running, the first date and venue booked and the fights set, Frendo believes this is only the beginning of something great. For those who can’t make it in person to see Lights Out 1, they can watch on PPV through Fite.TV. Lights Out Championship makes its debut on October 13 at the Delta Plex Center.